For the removal of animal fats and grease. 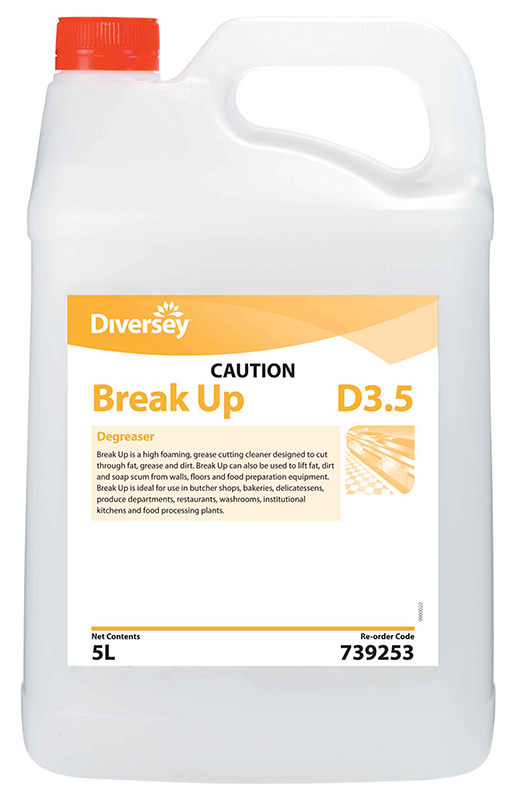 Break Up dissolves grease and fat quickly, then rinses easily leaving no film or residue. Ideal multi purpose for kitchens, freezers, cool stores and bathrooms. Great for shower recesses! Concentrated - mixes up to 40:1.